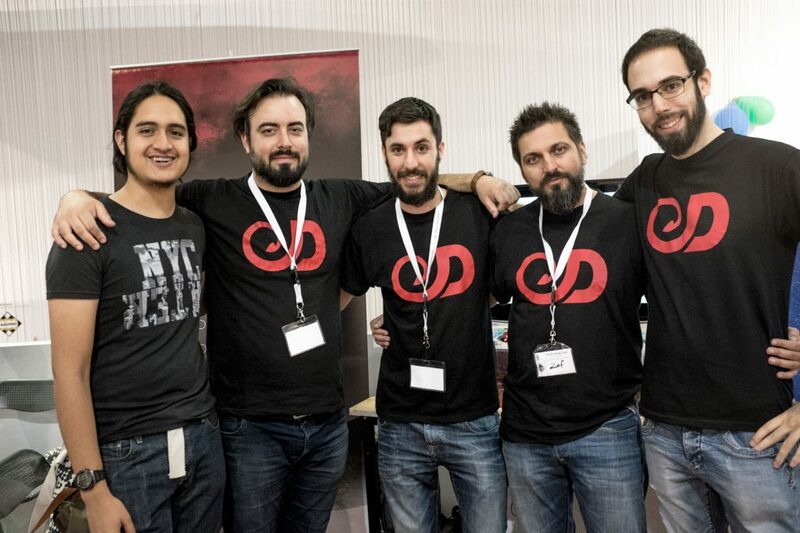 The first Greek expo dedicated to indie gaming became a reality and Dragontale was there. It took place at Texnopolis, Gazi, at the center of Athens on 3-4th June. There were two floors: one dedicated to indie video game developers and another for board gaming. 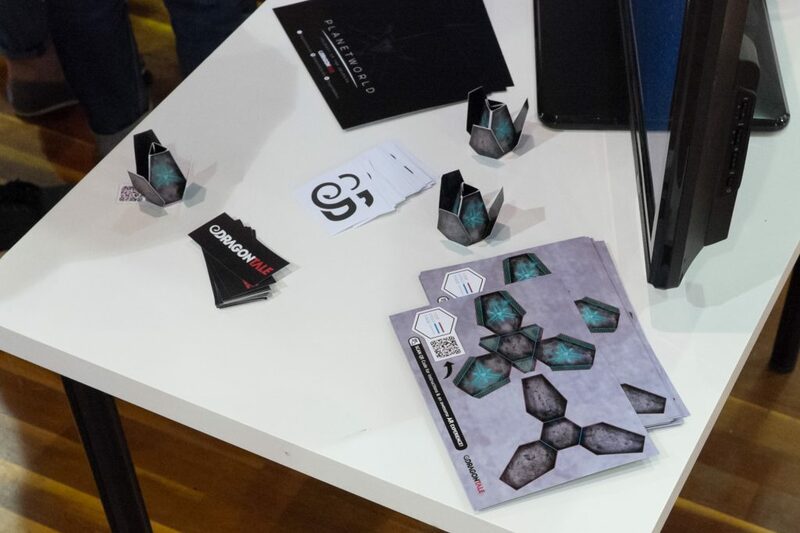 We were on the first floor presenting ‘Planetworld’, a roguelite focused on exploration, that drew inspiration from “Final Fantasy Tactics” and the “Binding of Isaac”. A procedurally generated universe, unique planets and a dreamscapy feeling is just few of the things that should make you want to play it. To get the audience into action, we created a giveaway card, that could be folded into “The Gate”; the object that the Revenant must use for interplanetary travel. But wait there is more: it is also AR enabled, giving a small glimpse of the planetverse we are creating. You can download your own gate from here. If you want to find out more about ‘Planetworld’ or monitor its progress this is your page. Instead of just presenting one game though, we decided to show another addiction we have: arcades! So, two weeks before the expo we brainstormed a mini arcade cabinet for ‘Ram Bros’. The twist from the mobile version, was that now it became a two-player game. Using a bigass arcade controller made that possible by giving each person control over one ram. You have to cooperate and synchronize to smash everything thrown at you, or else you are both gonna lose. Beware though that two things can kill you; time if you are not quick and spikes if you decide to hit them with your ram’s head. The result was a hilarious stream of miscommunication, laughs and ramming the heck out of as many items as possible. The event was ripe with ideas and the presence of the gaming community. Bonds that were old got stronger and new friendships were made. The big effort, innovation and talent that went into the creation (or art I might say) were visible and all around the place. beyondthehill’s “reky” could be the next big thing in mobile puzzle. Another Circus’ and ViRa’s VR experiences were unique. Pixel Reign’s “Robbie Swifthand and the orbit of Mysteries” was so great, that I didn’t even get the chance to try it, because the seat was never empty. Tournament of “Rum Ram” by Lucid Ferret was a thing that spiced up the event. Special mention for Traptic’s “Moribund”, the game that has taken 168 hours (Steam stats) of our lives these last months. All these are just a few examples of the great games presented in the expo. We are eNVy softworks! We are a small group of people that consume beers and burgers and create weird games! There are 5 people in the studio right now, Vasilis our creative director, Manolis our programmer, Irine our 2d artist, Kostas our modeler and Dionisis the new guy! We presented two games in the expo. The first one was “Death and Beyond”, the game where you have to die to win. The second one is “Toby’s Friendless Adventure”, the story of antisocial guy that explodes people by waving at them. We used eye-tracking technology for this one so you can play it with your eyes! Our favourite game of the expo must have been “Easy Cheesy”! It was a hard pick since all of the games were awesome but we really liked how ViRA used 2 different devices as input for a unique local multiplayer experience. Even though the attendance wasn’t that high we loved the energy of the expo. The feeling of comradery between the developers left us wanting to do more for the common good. We feel that our community is in a very strong state right now and it can only get stronger as more and more great games are created! Nevertheless we’ll be around to see the day and if possible even help it come sooner! The Lucid Ferret Team is a team of only 2 people who share the same dream, goals and ambitions. Growing up in the Southern part of Athens, Lucid Ferret is totally committed to creating their own games. Knowing the secret (not so secret) ingredient of success, Lucid Ferret will be a successful team, simply because we intend, no matter what, never to give up! We’ve had a wonderful time meeting new people and people we already know. The game we showcased, was our party game Rum Ram! Our favorite game from the expo has to be “Ram Bros“ by DragonTale. The whole discovery vibe and openness of the people that visited, was the thing we enjoyed most. Our experience at GROW Games Expo was the most fun we’ve had in a while as a team, we got to meet a lot of new people and share interesting ideas and perspectives. The game we brought to “the table” was Robbie Swifthand, a 2D action platformer with challenging levels that will demand 110% of your attention. The whole vibe between the developers was great , we were fortunate enough to also get a lot of people to play our game as well. The only - forgivable and understandable - thing that we felt like was missing was traffic related with other businesses outside of the gaming industry, it really felt like traffic wise , there could have been more people. Another thing that we personally thought was unjust was the entrance fee - even though it was very low and affordable, as development teams we paid to be hosted there and we felt awkward inviting people to come and play the game when we knew our friends had to pay to enter. Representing Tall Guy Productions at the G.R.O.W. expo were tall guy, and another dude around 1.80m, who helped setting up shop, luring unsuspecting by-standards and taking turns holding the fort so we could grab a bite to eat. As for our favorite games from the expo.. that’s a tough one, and the answer is bound to be very subjective. I’d say “Rum Ram” from Lucid Ferret and “Moribund” from Traptics, as few things are better than an easy-to-learn, fun-to-master couch multiplayer with people you know. Honorable mention (not only because of the coin-shaped sweets they were offering) to Pixel Reign’s “Robbie Swifthand”, a platformer with a mesmerizing atmosphere. To all of you who passed by the expo - thank you! I’ll see you all online for a couple of matches, now that Lil’ Arena is in closed beta; you can sign up at lil-arena.com. 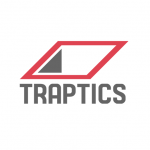 Our team is called Traptics. Team members are Mike Papagathangelou, Alex Panagiotou and Kate Mataraga. We participated in GROW with 2 games. “Moribund”, a local multiplayer brawler available on STEAM and “Ricochet Revolt”, a casual mobile puzzle. Just like every other event with Game devs, there was a friendly atmosphere, full of excitement and positiveness. We were amazed by “Lil Arena” from “Tall Guy Productions”. “MonsterBuster” from “TagOfJoy” and “Dungeons and Robots” from “Glow Games Studio,” high quality games that hooked us. But most of all DragonTale’s “Ram Bros” simplicity won us over. We still compete each other for a high score. Unfortunately Sunday’s rainy weather, stopped more people from visiting the exhibition, and some electricity problems left us with a bitter taste. These things didn’t stop us and we are eager for any similar upcoming event. “beyondthosehills” is a games development studio made up of Andreas Diktyopoulos interactive storyteller, developer and cg generalist, and Maria Aloupi, producer, business development and musician. Located in the center of Athens, Greece. “beyondthosehills“ offers creative digital experiences through storytelling processes. As a first game title have developed the adventure game “The Minims” published on iOS and Steam, and the puzzle game “reky”, that will released on Q3/2017. Also “beyondthosehills” develops and delivers games for clients and provides consulting. We had a great weekend at grow games expo. We have presented both games “The Minims” and “reky”. We have enjoyed the feedback from the testing of our new game ”reky” via a lot of players. Also it was a good meeting point not only with the audience but with the other game development teams. Overall it was a great event with ups and downs. I am sure everyone will work hard till the next event, where we’ll all meet again. Till then keep playing.